Canadian real estate’s rapid appreciation has made many homeowners wealthy overnight. However, that’s just paper wealth. How do you actually spend some of that money you’ve made, without actually having to downsize? Office of the Superintendent of Financial Institutions (OSFI) filings show many are using reverse mortgages. Reverse mortgages are growing at a record rate, and that’s on top of the record loans against property. A reverse mortgage is pretty much what it sounds like, a mortgage in reverse. In a traditional mortgage, you borrow and pay it back in interest – at the end you own a house. In a reverse mortgage, a senior homeowner borrows against the equity in the home they own. The lender gives them money, and the interest quietly racks up behind the scenes. Unlike a Home Equity Line of Credit (HELOC), they don’t have to make payments on it. When they kick the bucket, your estate repays it back with interest. 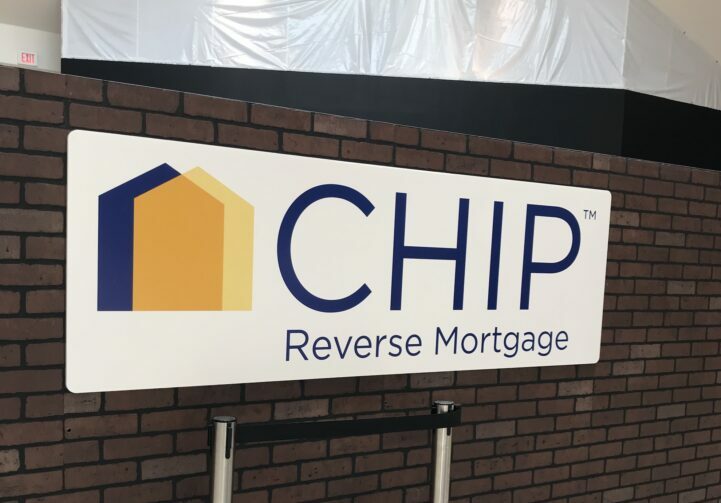 The Canadian government says there’s only one company that provides reverse mortgages, CHIP by HomEquity Bank. According to the Bank’s current posted rates, a variable reverse mortgage has an interest rate of 5.24%, and a 5 year is 5.69%. Both have additional fees, but let’s just look at the rates for now. Note I said quietly racks up interest. That’s because while you’re not paying anything on the interest and principal, your equity is slowly dying in the background. If you’re in the market for a home, the 5.24% interest rate probably sounds remarkably high. That’s because it is. Let’s do an example using someone that’s 55, owns the average home in Toronto, and wants to borrow $200,000 to help with retirement. At 5.24% interest over a period of 30 years, they will have racked up a tab of $959,963. The average detached home is currently at $974,212, so their kids are left a whopping $14,249 in equity. If you live one more year, you’ve left your estate a bill for $37,279. Remember, there’s still transaction fees, and the cost of selling a home to cover. Now, there was a problem with my example I’m sure every real estate agent saw – the value of the home didn’t increase. Yes, but it also didn’t decrease either. We’re also at historically low interest rates, so a rise in interest rates will also kill a good portion of your profits. If those interest rates pop up to normal levels of 3% by the time you take it out, you’re in for $1.74M at current margins. Will home prices increase by 78% from here? Maybe, but this is just a static example to illustrate the basic costs involved. To get a complete number, ask your reverse mortgage banker to build a multivariate projection. They do that at the booth they have in malls, right? Canadians are taking advantage of reverse mortgages at an alarming rate. Aggregate bank filings show the balance of reverse mortgages stands at $2.037 billion. This is a 2.12% increase from the month before, and a massive 20.59% increase from last year. The median rate of growth over the past 5 years is 15.34%. This current balance is more than twice what it was in 2012. That’s huge growth, and just the start with Canada’s aging population. The amount of interest being paid is also a pretty mind boggling number. Since a reverse mortgage typically isn’t paid until death, the numbers keep racking up. If the lenders in OFSI’s numbers charge the variable rate this year, the debt pile increases over $109 million. That’s just on interest, without accounting for any industry growth. Over the past couple of years, Canadian homeowners have experienced a windfall. However, they’re struggling to realize this wealth without selling their homes. This has led to an a rapid increase in borrowing against the realized values. This might be a temporary way to experience gains, but it increases market volatility. These kinds of borrowers are vulnerable to minor fluctuation in real estate values. That’s just my opinion. Call me old fashioned, but I’m not a huge fan of debt where the exit strategy is death. Remember, your real estate market is only as strong as your comps. Does Better Dwelling see any positive trends in housing in the data??? Depends what’s considered positive, and depends on your ability to extract insights from the data points we present. Here’s a rough breakdown of the insights, depending on what you consider good. 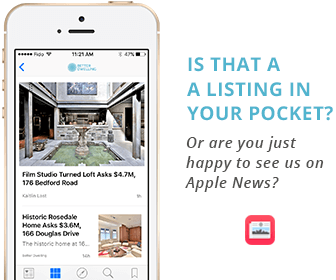 – Vancouver and Toronto’s condo markets have additional pressure from lower end consumers scrambling to get in. – One of our analysts said they believe Toronto condo prices are underpriced relative to comparable rent levels. – Single occupancy homeownership is increasing, putting more pressure on future prices. – Toronto has been building at pace that assumes that everyone moving to the city will buy. – Vancouver is building at one of the highest paces ever, the prices are just proportionally out of the median family’s income. – Prices are coming down on the higher end. – Pressure is being put on speculators, which is freeing up inventory. – Higher inventory levels generally push prices into greater affordability. Just remember that not everyone considers the same thing positive, and not everyone considers the same things negative. CMHC recently invited us to send a panelist to the international housing symposium to help field questions on prices over the next 100 years. We’ll be publishing more research on future pricing over the next few weeks as we get closer to it. Positive: rent control, investment funds coming in to build rentals, cracking down on money laundering… Finally our government pays attention 🙂 🙂 🙂 The interest rates should be at 5%. It is about the time to stop subsidizing our so called “growing” economy, otherwise we will have our baby boomers and immigrants leaving this country EXODUS; we are to reliable on immigrants to have this happened. Reverse mortgage is one of the most toxic financial products out there. With slowly shrinking equities in detached market, a lot of people will find out true meaning of a fine print section in their contracts. You need to be a bit more creative in thinking what you do with that equity that you have tapped into. If you are smart enough to use those funds to pay off higher costing debt, or freeing up cash to buy more lucrative investments, it makes perfect sense to me. The interest compounds semi annually, not in advance. You CAN make payments if you wish, and you do have options to get out of this program without dying. This is why the rich get richer…. and good for them. They do not adhere to the conventional and outdated retirement/ financial planning models that most of us have been force fed with from the mainstream banks and investment advisors. If you’re borrowing at almost 6%, you’re going to have to make a pretty risky gamble to make any money. This isn’t what rich people do, it’s what poor people think rich people do. Credit lines, and even HELOCs have better rates. Heck, even selling your house, and buying one at a comparable rate with a mortgage instead would be more cost effective. In a reverse, you’re paying more than twice the cost of a variable rate mortgage right now. Everything has two sides to it. You cannot simply said it is bad for everyone. What about those widow that is house rich and cash poor, and have no desire or no children to pass the fortune down. If a baby boomer is over 75, paid off their house 20+ years ago, has seen their property value go up 4X in the last 10 years (basically everyone in nice areas of Vancouver and Toronto), do you think it is better for them to just sell out to foreigners and hopefully give some cash to their kids so they can maybe buy a tiny condo. Or is it better for them to reverse mortgage part of the house and loan a bit to their kids or take care of rising taxes/living costs/medical? If they reverse mortgage and only live 5 more years, they can have their bills paid, the kids can buy a place now rather than never/waiting, and the at death the interest on taking out a few hundred thousand now will be reasonable if you consider inflation continues and house prices continue to rise for ever (the standard assumption now…), plus they get to stay in the home they have loved and built a life in? Average price this month: just under $800k. That’s ~2x, less the cost of carrying that mortgage and round trip commissions. Probably not going to do that again over the next 10 years, and is pretty far away from 4x. Please stop giving terrible financial advice. Also, learn what inflation does to your money over that time too. Pray tell, how can BORROWING on your home equity, and then paying it back, be an example of CASHING IN on your home equity? The reverse mortgage plans would always make the borrower vulnerable to the real estate value fluctuations. This is where I think that some proper calculations should be done before anybody opt for a reverse mortgage plan.